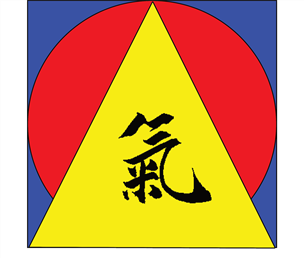 Dai-Hara Kizendo is a Ki Development Program. Ki (or qi / ch’i) 氣 , is the is active principle, the energy forming part and nourishing any living thing. Ki/Qi ideogram is often translated as “breath”, “air”, or “gas”, and it represents the energy, the life force, or the well being. Ki/Qi is the central underlying principle in traditional Japanese and Chinese medicine and martial arts. Our program uses the Japanese form Ki, as the methods used during the meditation are the ones of Zen Buddhism. Hara (Dantian in chinese) is the center of the center of the Ki in our body, and is often translated as sea of energy. The Hara is located in the navel area, about two inches inwards from the skin. It is often referred to in martial arts and in meditation. Hara is the channel through which to develop your Ki and let it freely flow. Dai is a Japanese prefix, meaning large, and so Dai-Hara means the large Hara, as our program aims to reconnect ones’ Ki into a larger, universal Hara. Dai-Hara Kizendo is based in Nurnberg.